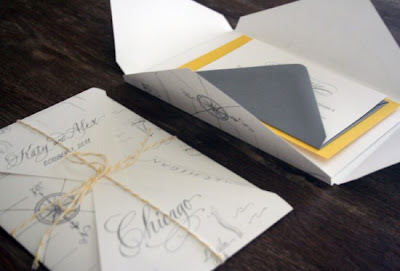 As pictured in my "invitation inspiration" post, when I saw these maps on Oh So Beautiful Paper, I was blown away. I immediately started looking around on Etsy for someone who could create one for me. I was incredibly lucky to stumble across Natalie's shop on Etsy. 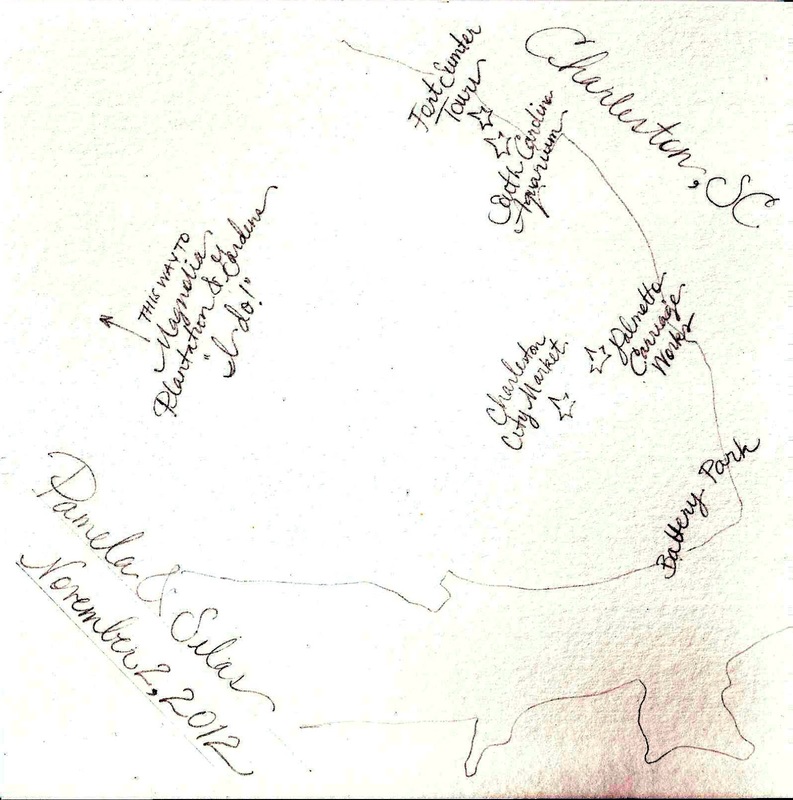 At first, I requested a map of Charleston itself, and Natalie mocked it up for me. 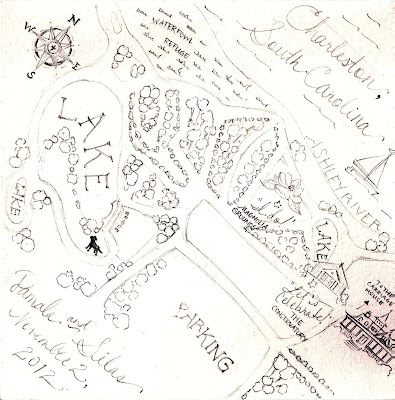 Things seemed kind of odd and spread out, so instead, I sent her a map of Magnolia Plantation (our ceremony and reception site! 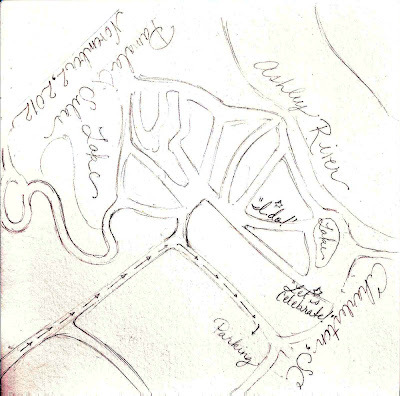 ), and she sketched out the initial layout for me to approve. Oh, and for anyone looking to do this - I had Natalie design in a perfect square, as I needed a 10x10 map to go around my A7 envelopes! I approved the map, and had her move the text so that it would be in the right place when folded, and sent Natalie a few images of the Conservatory, and made a few requests to the map. As we were nearing the end stages, I printed out the map (in a smaller size), and did a test fold. 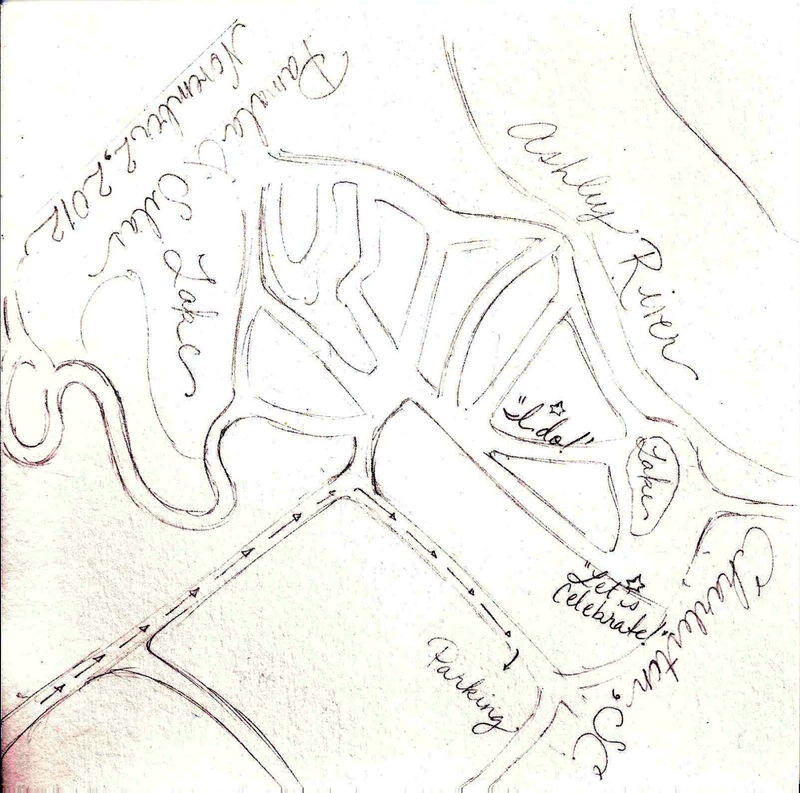 It was then that I realized that when folded, the writing would appear upside down, so I had Natalie rotate them 180 degrees so that they actually appear "wrong" when the map is not folded. 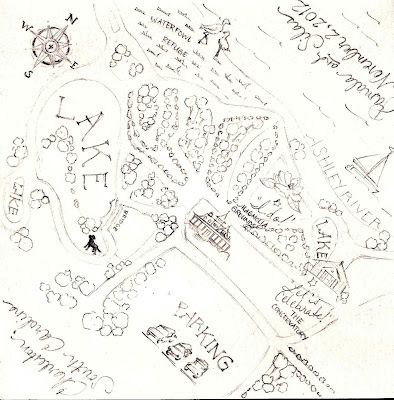 The map below was the final "sketch" I approved. 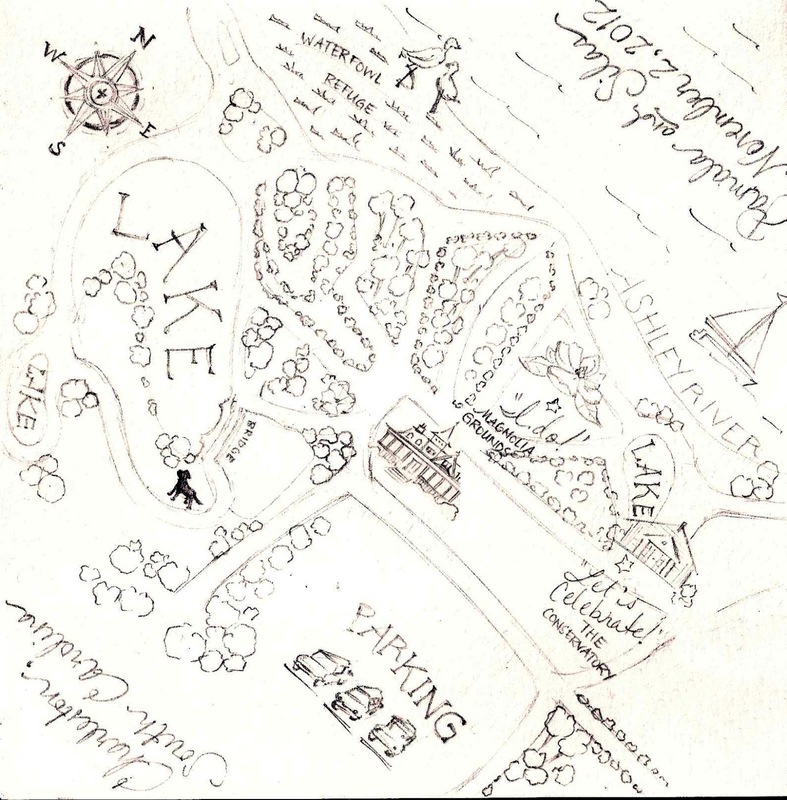 Here is our final map, pre-printing and folding! You can see all of the sweet details that Natalie put in for me, and she solidified all of the lines for me. She offered watercolor, but I wanted to keep it more simple, so opted for the black and white final product. P.S. - Do you see Linus? 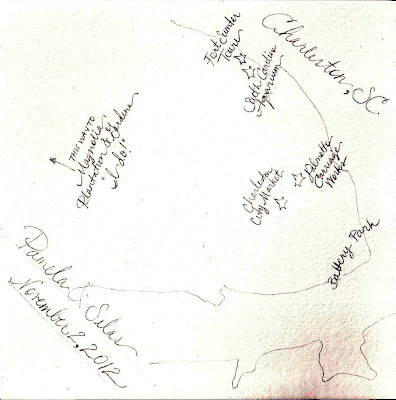 We added him to the map so that he can be there with us on our wedding day in spirit! 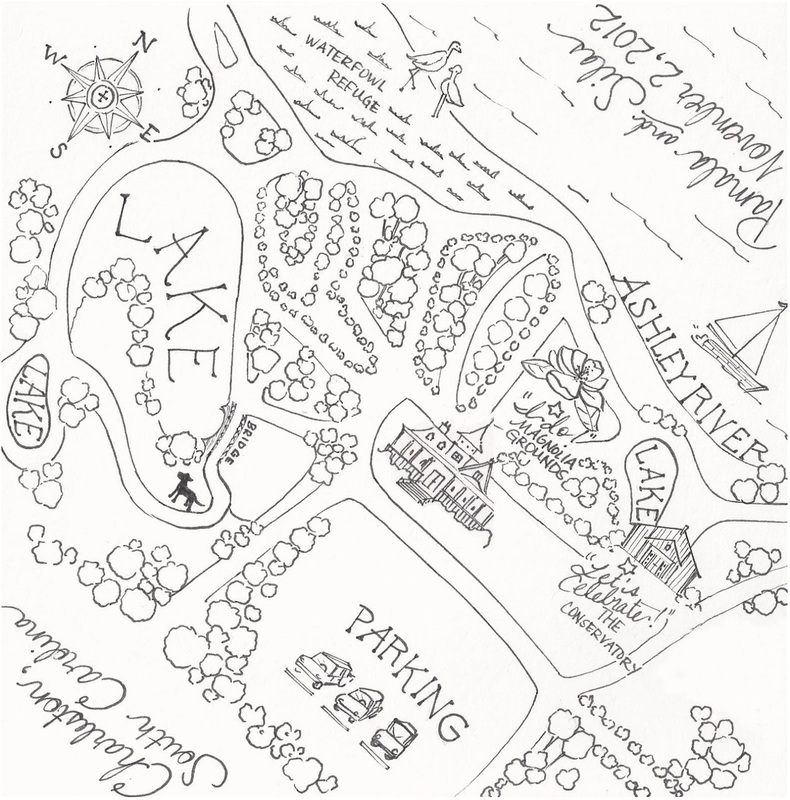 Stay tuned for the printing and folding of the maps tomorrow for the final product!